The duel of Group D undefeated teams on Thursday night fell in favor of hosting FC Barcelona Regal, who defeated Montepaschi Siena by 92-75. An early run for 19-4 allowed the hosts to face the game calmly, while Siena had to make up for big deficits from early on, and it never had a chance to succeed. The win lifts Barcelona's record to a perfect 4-0 to lead the group while Siena drops to 1-3. Chuck Eidson had his best night since his arrival to Barcelona to lead his team with 22 points. Erazem Lorbek, going through a sweet moment, helped with 17, and Boni Ndong had 15. For Siena, Bo McCalebb led the way with 20 points, Ksistof Lavrinovic had 13, David Andersen 12, Igor Rakocevic 11 and Rimas Kaukenas 10. Eidson and Lorbek teamed up early to give Barca the big leads, but McCalebb put Siena back in the game almost single-handedly. In the last period, the guests managed to pull within 7 points but then, Juan Carlos Navarro made a rare late appearance to secure the win for his team to stay undefeated. At the start of the game Montepaschi allowed FC Barcelona Regal space in the arc for threes, and the hosts gladly took it as Chuck Eidson and Erazem Lorbek hit threes for 6-2 after Rimas Kaukenas' jumper. The defense of Barcelona didn't allow for many spaces for Siena players and Juan Carlos Navarro soon joined in to make it 8-2. When Boni Ndong and Marcelinho Huertas hit points for the hosts, having all the starters scored already, the score was 13-4. Siena was struggling in defense with lack of communication, and Barcelona proved lethal soon making it a 13-point game at 17-4 after Lorbek's new jumper. And then Bo McCalebb appeared. In the blink of an eye he had blasted 6 points of his own with free throws, drives and basket-plus-foul. Montepaschi was back to life all of a sudden and regrouped in defense, forcing Barcelona turnovers and making it a 0-8 run for 19-12 after David Moss' tip-in. Eidson came to the rescue with a wake-up call for Barca in the form of five straight points, triple included, to make it 24-12 after 10 minutes. Eidson extended his streak into the third quarter scoring for Barca soon but this time Siena didn't fall asleep and McCalebb replied with a three. However, the defense of the hosts was making it hard for the Italian team to score and with time CJ Wallace and Vazquez put the ball in to keep Barca away, 30-17. 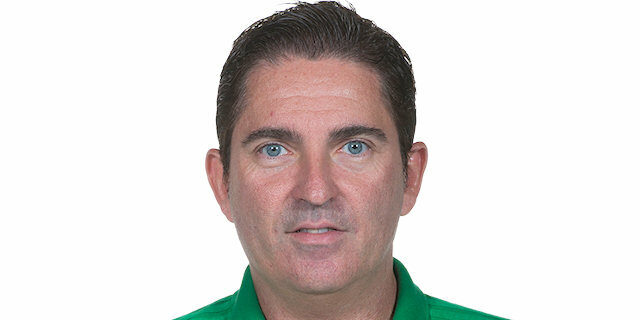 When Montepaschi managed to move the ball it always found spaces but in defense things were even more difficult as Vazquez score from six meters and then Pete Mickeal slammed an offensive board in a reversal of roles to make it 34-19 for the hosts. Mickeal and Igor Rakocevic scored for their teams but then, after having more than words on court, David Moss and Mickeal were ejected from the game. The game continued but Barcelona was clearly in command as Wallace put back an offensive board for 38-24. Rakocevic tried to put Siena back in the game and made it 40-28 as both teams hit the lockerrooms for the break. The tempo of the game went up a notch in the third quarter with constant back and forths on both sides. Lorbek opened fire for the hosts and McCalebb did the same for the guests. It was a three-man game at this point: Eidson and Lorbek for Barcelona and McCalebb for Montepaschi. Among the three, they made the score progress fast, 49-36 after McCalebb and Eidson threes, and then 54-41 after Lorbek blasted a three to reply the one by David Andersen. Rakocevic wanted to setp in also but the one taking the game by storm now was Vazquez, with two straight slams off assists by Huertas and Eidson and then blocking shots in defense for 60-46. The teams reached the end of the third period with free throws on both sides as the game was 63-50 after 30 minutes. The last period saw more Eidson action for the hosts, as he was soon up to five straight points, but Ksistof Lavrinovic, mainly silent up to that point, appeared for Siena with 8 points of his own to keep his team alive. However, the difference was always above the 10 points, and with such a deep roster, Barca always found resources to keep pushing hard. However, the will of Lavrinovic and the help from Kaukenas from the free-throw line, Siena managed to cut the deficit down to the 7 points, 75-68. However, rather out of the game to that point, the one who always saves the day, Navarro, appeared with six straight points and then Ndong slammed the ball to close a 6-0 run for 81-68 that broke the game open. The last stand for Siena came when Rakocevic scored a new bucket but with confidence at high levels, Barca appeared with a new scoring run with Ndong slams that sealed the deal. "We played a complete game, both on offense and defense, against a first-rate opponent, which only adds value to the win. We played as a team, and while some players scored more than others, the most important thing is team play. 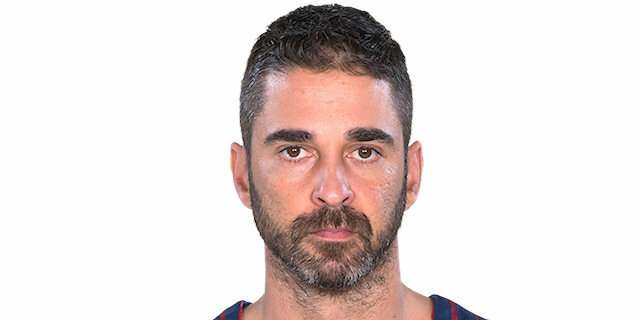 For example, Juan Carlos Navarro scored seven points but he played a brilliant game, tactically perfect. I’d like to thank our public who turned out to support us in this important game. We have to stay on this course. " "We didn’t start the game with enough energy compared with Barcelona, and that cost us. We got better after but the lead was too great. Why did we lack energy? Because in my six years with Monrepaschi this is the first time we didn’t have a normal preseason. Rakocevic joined us recently and needs time. The first full training took place two days before the Italian Supercopa and you can tell. We’re still not in proper form, especially our big men. Barcelona is the favorite of the group, and together with Panathinaikos and CSKA, the best team in the competition." "The first quarter was the key to the game. We came out strong, very focused, we established a good lead and that helped us the rest of the game. It was an important game, against a team that in the past has known how to make things complicated for us, but thanks to team play and effort from everyone we deserved the win." "We came out badly and against a team like Barcelona you pay for that. We put in an effort afterwards, cutting the lead to 7 points, but we didn’t have the energy for more. Barcelona has a great team, without weak spots. Every position is covered with two or three players, and on top of that they’re well prepared. I hope we get better, both the team and me personally."